A Discover Scuba Dive starts at our dive center. 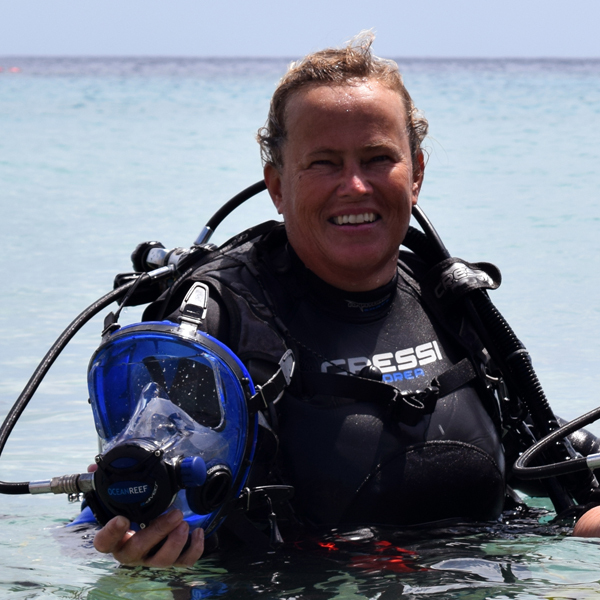 We offer you the full open water course with a full face mask, or integrated dive mask. Of course you can also come to us to rent materials. Complete dive gear, just tanks and weight, all is possible. Best diving locations on the island. We are diving at the best spots on the island. We are Rob and Petricia Botbijl, and we live on the beautiful island of Curacao since 2005. Here we learned Scuba-diving, and soon we knew this what we wanted to do: share our passion with others, teach them how to enjoy the beautiful underwater in a safe and relaxed way! So Rob said goodbye to the Royal Dutch Navy, and Petricia quit her job as a nurse. We took the challenge and tried to live our dream. Since 2008 we own Relaxed Guided Dives and every single day we enjoy island life, but most of all the contact and the diving with you! 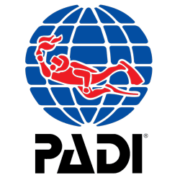 With us, you are in the right place for Discover Scuba Dives, and various PADI and IDD courses. 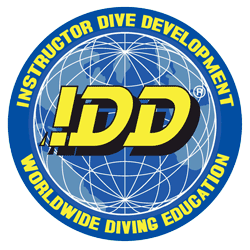 Are you already a certified diver? Then we offer you guided dives from shore, in small groups. So it’s a relaxed way of enjoying the underwater treasures! Safety and service are our priority; our goal is to give you an unforgettable experience! Of course, you can also rent your dive equipment with us and go diving by yourselves. 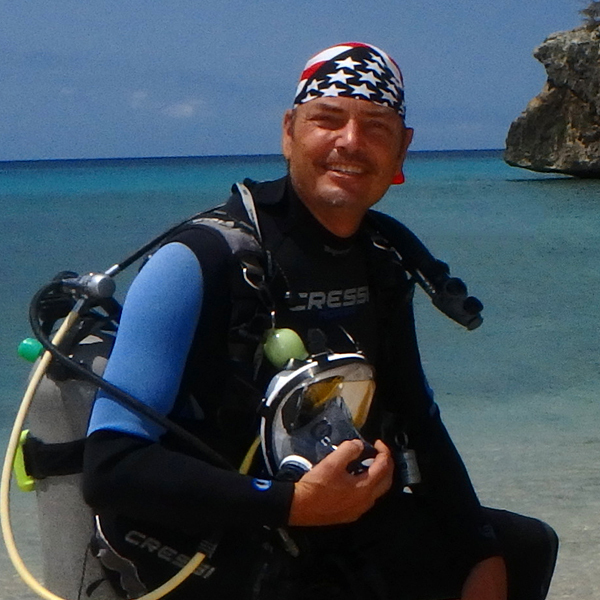 We will gladly give you advice on where to go, so you see the most beautiful dive sites Curacao has to offer. 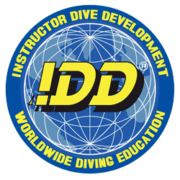 One condition: you have to be able to show us that you are a certified diver, so don’t forget your certification card! We are an authorized OCEANReef dealer and service center. In our dive shop you will find all sizes and colors of OCEANReef’s Aria full face snorkel masks, as well as the G-Divers Integrated Dive Masks. We will gladly tell you all about the advantages of these high quality masks and help you find the one that fits your face perfectly! We are also an official Cressi Dealer. In our fill station we fill your tanks with compressed air or nitrox. As you can conclude from the name shore diving is done from shore. This means that we build up the dive-equipment at the beach, put it on and walk into the ocean. Curacao is suited particularly well for shore diving because almost every dive-location is reachable by car and the reef is never too far away from the water entry-point. Advantages of shore-diving are for instance that you descend very gradually, so you have more time to equalize then when you have to descend from the surface to 18 meters at once to reach the coral. You see more of the island. When you go diving by boat, you only see the coastline. On our way to the dive-location, we gladly tell you about things we pass, about the history of the plantation-houses, about nature and what you should see or do before you go home. Another advantage of shore diving is that it can be scheduled more flexible since we don’t depend on departure times of boats. Shore diving can be done anytime, and almost anyplace. We do our shore-dives on dive-sites shown to us by local fishermen and divers. Dive sites you might not find on your own, but are definitely gorgeous! Because we offer shore-dives, we can work with small groups, since we don’t have to fill an expensive boat. Of course, we offer you the same service, as you would get while diving from a boat. Our van is equipped with First Aid kit and Oxygen kit. Curacao has a lot of beautiful bays with sandy beaches. While you are doing your shore-dive non-divers in your group can enjoy the beach. If you follow us to the dive-site in your car, you can stay at the beach and relax after the dive. 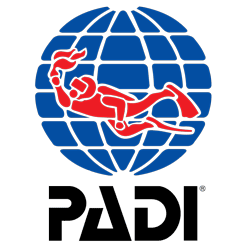 We take the dive-equipment with us to the dive-center and rinse everything for you! As you can see, shore diving is comfortable and safe, is done in small groups, can be fun for the non-divers and offers you more time to relax.